My objective in coming here today is to discuss the euro crisis. I think you will all agree that the crisis is far from resolved. It has already caused tremendous damage both financially and politically and taken an extensive human toll as well. It has transformed the European Union into something radically different from what was originally intended. The European Union was meant to be a voluntary association of equal states but the crisis has turned it into a creditor/debtor relationship from which there is no easy escape. The creditors stand to lose large sums of money should a member state exit the union, yet debtors are subjected to policies that deepen their depression, aggravate their debt burden and perpetuate their subordinate status. This has created political tensions as demonstrated by the stalemate in Italy. A majority is now opposed to the euro and the trend is growing. There is a real danger that the euro will destroy the European Union. A disorderly disintegration would leave Europe worse off than it was when the bold experiment of creating a European Union was begun. That would be a tragedy of historic proportions. It can be prevented but it can be prevented only with Germany’s leadership. Germany didn’t seek to occupy a dominant position and has been reluctant to accept the responsibilities and liabilities that go with it. That’s one of the reasons for the crisis. But willingly or not, Germany is in the driver’s seat and that is what brings me here. First off, last weekend’s 100 billion euro ($126 billion) Spanish bailout has staved off the inevitable for now. What most people don’t realize, though, is that it actually spells disaster for the euro — there simply isn’t enough liquidity in the system and never has been. 100 billion euros is chump change. A trillion euros is more like it. Probably more, to be quite candid. Let me lay out the math that European politicians, whose skill set apparently consists of saying “present,” rather than developing real solutions, can’t be bothered to do. According to the latest data, the European Stability Mechanism (ESM) and the European Financial Stability Fund (EFSF) have a combined lending capacity of 700 billion euros. If Spain requests the full 100 billion euros it approved last Saturday, this leaves 386.7 billion euros in excess capacity. The EFSF has already committed 213.3 billion euros. (700b euros minus 213.3b euros minus 100b euros equals 386.7 billion euros). The problem is that Spain and Italy have combined total needs of 620 billion euros in the next two years alone.If you’re doing this math in your head, you’ll quickly realize that’s 233 billion euros more than the total bailout mechanisms now in existence. Call me crazy, but under the circumstances I don’t understand how European leaders can pursue the same course of sorry-assed lending in Spain that they did in Greece and expect different results. It’s simply irrational. Don’t get me wrong, I understand why they are trying to pull the wool over everyone’s eyes. But in reality, who’s kidding who?! The markets know the politicos can do nothing to stem the tide of money flowing out of Spain any more than they could stop money from leaving Ireland, Italy and Greece. The only practical consideration is preventing an all-out bank run through the front door – never mind that it’s already well underway out the back door. Frankly, I think they’ve failed on both counts. Deposits in German banks are up 4.4% year over year to 2.17 trillion euros as of April 30th, while deposits in Greece, Ireland and Spain fell 6.5% over the same time frame. Swiss bank sight deposits have reached five-month highs of 252 billion francs as of June 1, according to the Swiss National Bank. CNBC is reporting that up to 800 million euros ($1 billion) a day is being pulled out of Greek banks alone. Data from Spanish banks related to withdrawals is being closely guarded, but I can’t imagine it’s that much different. LONDON (MarketWatch) — The most pressing question about the euro crisis is also the hardest one for anyone to answer. It is easy to analyze why the single currency has gone so badly off the rails, pick apart the flaws in its construction, and identify the mistakes made in the endless bailout packages. But how will the saga eventually resolve itself? In my previous postings here, I have suggested that by mid-year, Greece will be back in the market’s crosshairs. Now, time to look beyond that which consumes the media space once again. BERLIN—Europe’s voters delivered another rebuke to their leaders Sunday for failing to overcome a debt crisis that has thrust much of the region into an economic tailspin. Less obvious is what Europeans expect their governments to do differently. From Greece to France, incumbents lost power—joining a long list that includes the former leaders of Spain and Italy. But their successors will likely find it difficult to pursue policies that deviate much from the austerity-focused course championed by Germany, Europe’s paymaster.As Europe’s only healthy large economy, Germany’s support would be essential for any change. 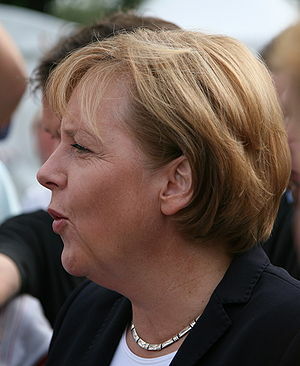 And Chancellor Angela Merkel and her government, fearful of popular resistance in Germany, have made clear in recent weeks that they wouldn’t soften their austerity demands, no matter who won Sunday’s elections. The more things don’t change…the more they remain the same. You can quote us on that. On the surface, very little changed in the 2 months we were away. The Dow was about 13,000 in mid-Feb. It’s still about 13,000. The yield on the 10 year US note was about 2%. No change there either. The euro was about $1.30. It’s $1.30 today. Gold is a little lower. Big deal. But down deeper….did anything more substantial change…evolve…develop? Apparently not. Back in the winter, the Europeans were pretending to fix Greece. Now they’re pretending to fix Spain. But wait…here’s something that might be changing…now nobody believes the fixes will stay fixed. “Europe’s Rescue Plan Falters,” says the front page of The Wall Street Journal. Yesterday, widely reported was the fact that Spanish banks held more delinquent loans than at any time since 1995. The world seemed to be waking up too to the realization that when you pour bad money after good money you end up with no money. The ECB’s $1.3 trillion worth of loans to banks was supposed to put a stop to liquidity problems. After all, investors know that borrowers can get more money. The ECB lends to the banks. The banks lend to the governments. You can’t go broke that way. Not as long as the money keeps flowing. 1.The target bond sales for Italy and Spain in 2012 are given here. 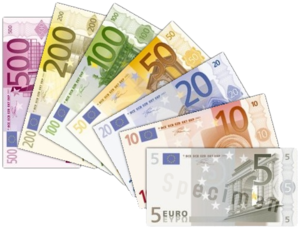 Reuters: Experts estimate Spain needs to raise about 177 billion euros gross in 2012. This compares with Italy’s plan to raise 450 billion euros in gross terms, including bills and bonds. Note that these are gross numbers including rolling short term bills more than once per year. 2. A large portion of that issuance is short term, (in particular Italy has a massive amount of short term bills to roll). 3. According to BNP Paribas, Italy has sold about a third of the paper targeted for this year. Spain on the other hand has managed to sell nearly half. That means that in the short term, Italy’s bonds will dominate the supply (particularly bills), putting some upward pressure on short term Italian yields. But in the long run the market believes that Spain presents a materially greater risk than Italy.